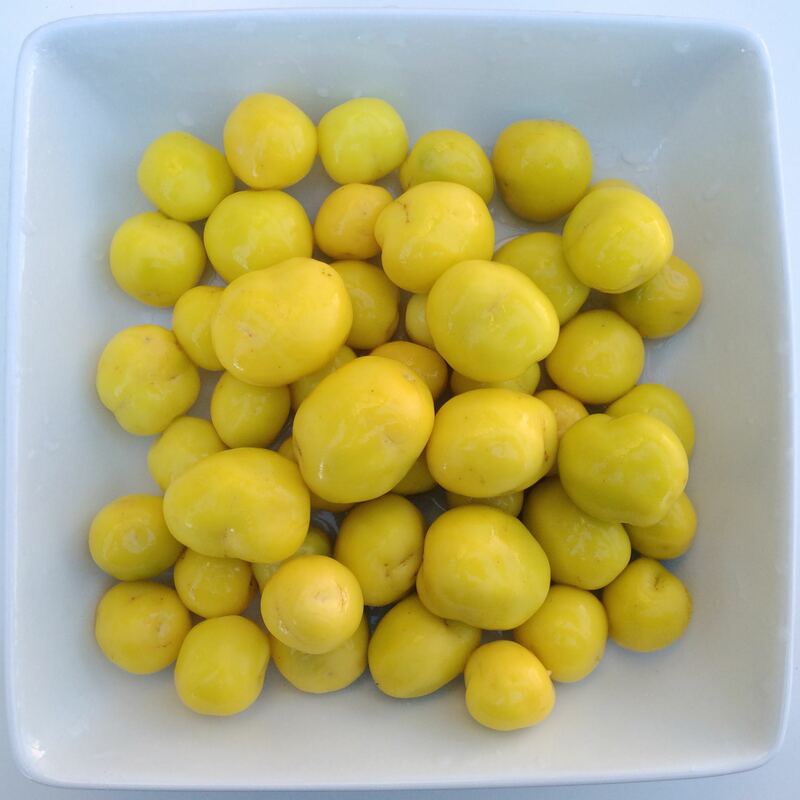 The ulluco seed season has come to a close for 2015. 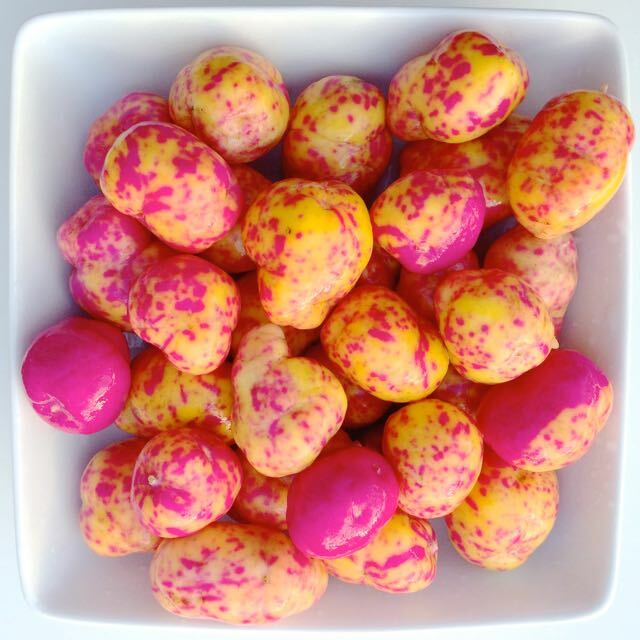 Not long after the autumn equinox, when ulluco begins to form tubers, it stops producing seeds. Some varieties continue to flower, but the flowers no longer form seeds, even with hand pollination. 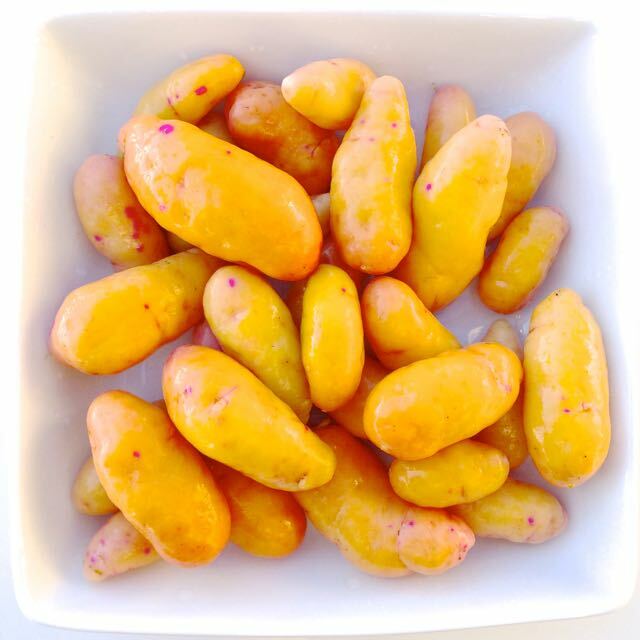 2015 is our third year producing seeds of ulluco (Ullucus tuberosus). For background on this project, start here. 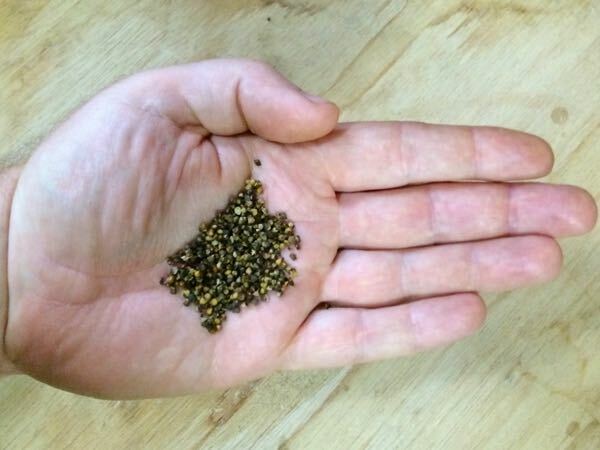 Ulluco seed is difficult to produce and, as far as we can tell, almost never happens without human intervention, even here where we have had nearly unprecedented success. The first two years, I just wanted to produce as many seeds as possible, knowing that the germination rate of ulluco seeds is also very low. To achieve that goal, I crossed ulluco randomly and repeatedly, transferring pollen between any varieties in flower. This worked very well last year, and we harvested a total of 1,200 seeds. This year, the goal was more ambitious: I still wanted to produce a lot of seed, but I wanted to do it with controlled crosses, so that we could begin to learn more about the seeding capabilities of different varieties. This requires a lot more work, but should pay off in future years by allowing us to focus efforts where they have the best return. The results of this project were a qualified success. We collected 3,800 seeds. Based on the number of plants that I hand pollinated this year, we might have expected to double that, extrapolating from last year’s finish. By dividing up the planting into beds for specific crosses and only making crosses between those varieties, the opportunity to produce seeds was reduced. Some pairings didn’t match up well, with flowering overlapping for only part of the season. Others overlapped well, but produced few seeds. In some cases, this was apparently the result of reduced male fertility and reduced female fertility in others. This is the kind of information that will allow us to more effectively pair varieties for seed production in future years. The rest of this post will detail the crosses that appeared promising and interesting details that we picked up along the way. All of this information should be considered preliminary, since there are a great many variables that we couldn’t possibly evaluate in one year, but if you are trying to start an ulluco breeding project of your own, this may give you a leg up. By far the best of the crosses between heirloom varieties was BK10425.2 x Round Yellow. This cross produced 63.13 seeds per plant. Let me tell you: that is impressive. Last year, I struggled to produce 4 seeds per plant on average over the course of five months. No other heirloom cross that we tried comes close to this; the next best produced half as many seeds per plant. The female parent is not a big surprise, since BK10425.2 has clearly been the strongest seed producer in previous years. This pairing is even better than it appears, because the reciprocal cross (Round Yellow x BK10425.2) produced a very respectable 10.88 seeds per plant. Our total germination so far from mixed ulluco seed has been 2.7%. That is 1 in 37 seeds. In combination, a pair of these two varieties produces 74 seeds, so every pair has the possibility of producing two seedlings, assuming that the germination rate is equal to or better than that of mixed ulluco seed. Even though this cross produced only half as many seeds as the best cross of 2015, it is still very impressive. This cross is a contender for most surprising. Both varieties are relatively late to flower and neither one has produced seed in previous years. Cusco market was cultured to clean it of viruses over the winter, so that may have helped. This year, it produced all of its seed in about five weeks, which makes the 30.29 seeds per plant that we ultimately collected even more impressive. Cusco Market is a heavy yielding variety, so I’m happy to see some seed from this cross. Based on these results, we will attempt to cross Cusco Market more widely next year. The reciprocal is not a useful cross, having produced a single seed the entire season. There may be hope, because Llanqha-puca appears to be infected with some viruses that I have not been able to eliminate yet. This cross produced only about a third as many seeds as the best cross of 2015, but that is, again, a huge improvement over previous years. I never produced 23.05 seeds per plant with random cross pollination. Both parent varieties have a long flowering season – the full five months. Chugua Roja is a prolific flowerer, while Pica de Pulga is just moderate. Chugua Roja was an excellent seed producer last year and, although we don’t have the data to prove it, I strongly suspect that it is over-represented in the seedlings that we produced this year; many have characteristics that bear significant similarities to it. The reciprocal of this cross (Pica de Pulga x Chugua Roja) is not particularly impressive, but turned out a respectable 5.05 seeds per plant. That may not seem very worthwhile compared to 23, but I consider anything greater than 2 seeds per plant to be useful for our breeding program. A seedling can probably be obtained from 20 plants with a seed set of 2 seeds per plant, which is a reasonable investment of time in order to unlock more ulluco genetics. In 2015, we got our first ulluco seedlings and some of those seedlings emerged early enough in the year for the plants to mature and flower this year. Five seedlings flowered and four produced seed. We only had 1 or 2 plants each of these new varieties, so they don’t make for a solid statistical comparison to the heirloom varieties of which we grew many plants, but the results look quite encouraging. The first two seedlings, OC-15-CB7x01 and OC-15-CB7x02, were our strongest per-plant seed producers this year, with 142 and 107 seeds, respectively. Both had a long flowering season and a moderate number of flowers. The third seedling, OC-15-CB7x03, produced 9 seeds. It is the largest of the seedlings, but had a fairly short flowering period – wrapping up by the beginning of August. The fourth seedling, OC-15-CB7x04, nearly died during the drought and may have been affected by Verticillium. Nevertheless, it had a long flowering period and managed to produce 10 seeds. I find these results very encouraging. 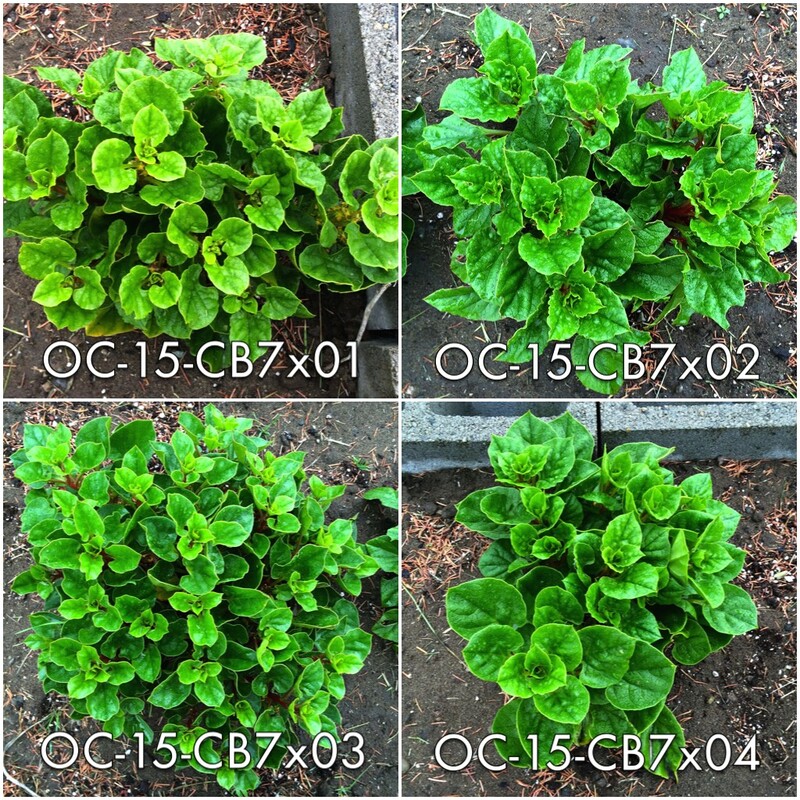 If I abandoned all other varieties and grew only plants of OC-15-CB7x01 and OC-15-CB7x02, we could potentially produce 30,000 seeds in the same area. If we continue to find similarly strong seed production in new seedlings and the results hold year-on-year, we have the raw material for a good sized breeding program. In total, we obtained seed from 33 different crosses and 18 varieties of ulluco set seed. The following varieties produced seed for the first time this year: Cusco Market, Illimani, Llanqha-puca, Round Yellow, and Spotted White. In 2014 and 2015, we observed plants setting useful quantities of seed following virus elimination treatments after producing little or no seed before treatment. 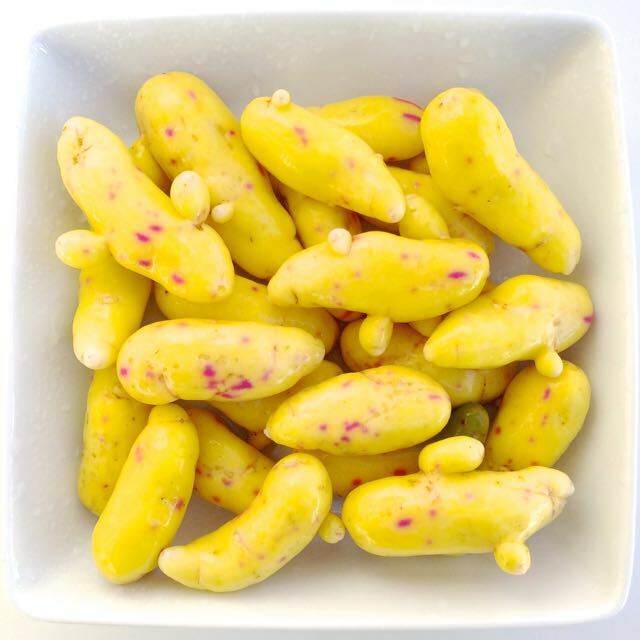 For example, Round Yellow and Cusco Market both produced good quantities of seed this year, following both tuber thermotherapy and tissue culture on ribavirin medium, but produced no seed prior to treatment in 2014. Virus burden does not appear to be the only (or even the most significant) barrier to seed production, as many varieties that have been through more than one round of treatment still fail to produce useful amounts of seed, but cleaning the existing stock of ulluco available in North America maximizes the production from our relatively limited supply of heirloom germplasm. 2015 was a good year for our ulluco breeding program. If germination is consistent with our 2015 results, we might expect to produce 102 seedlings from the seed harvested this year. If those seedlings include more varieties that exhibit seed production as strong as this year’s best seedlings, year-on-year growth in seed production should be in the vicinity of 100% over the next few years. 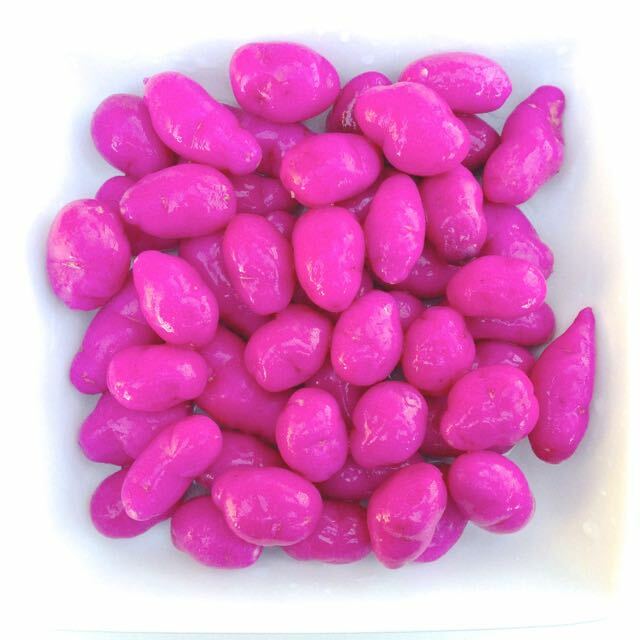 By 2017 or 2018, we might be able to supply useful quantities of seed to other prospective ulluco breeders. Tuber yields from the seedling plants were reasonably good and I expect that they will be better when grown from tubers next year, so although this process cannot be described as easy, it does appear that we will be able to make some improvements fairly quickly. This entry was posted in Blog, breeding, ulluco (Ullucus tuberosus). Bookmark the permalink.